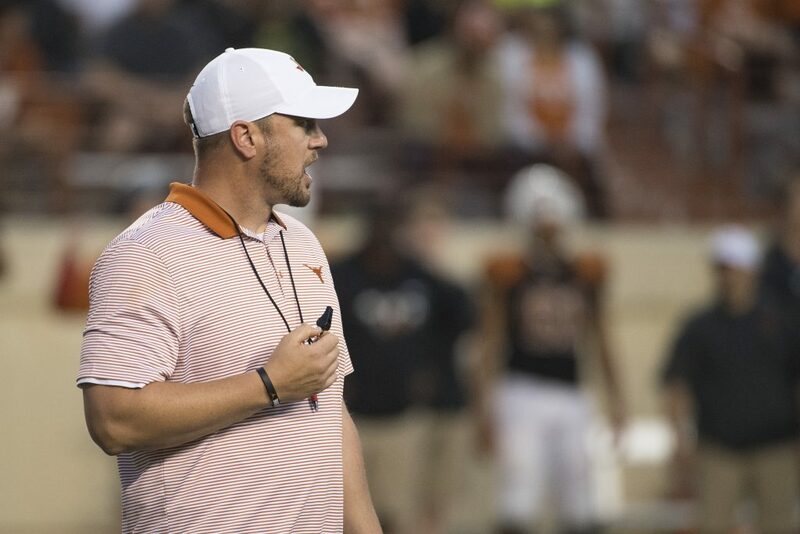 A blustery wind hampered the passing games and aided the defenses in Texas’s annual Orange-White Spring Game at Darrel K. Royal Memorial Stadium on Saturday in Austin. The White team, made up of Texas’s No. 1 defense and second-string offense, won the game 12-6, but the storyline was how inept the offense looked against a defense that returned far less experience from last year’s Sugar Bowl champion squad. It’s often said the defense is usually ahead of the offense in the spring. Even Texas Tech’s spring games during the Mike Leach days typically played out that way. 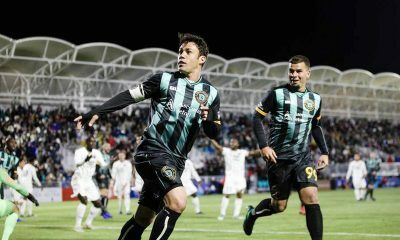 But the numbers from this one look bad, regardless, and the performance largely disappointed a big crowd that would’ve preferred an offensive firework show over a defensive slugfest. The only touchdown came on a drive that started on the opposition’s 1, and it still took four plays to barely punch it in. The two offenses combined for just 284 yards on 105 plays for 2.7 yards per play, which certainly won’t win you any games in the Big 12. There were eight dropped passes, five bad snaps (albeit all by backup center Rafiti Gharmai, who is new to the position), two turnovers and five sacks allowed. The offenses had less first downs (18) then they had total drives (19). The quarterbacks combined to complete 24-of-54 passes for 152 yards. 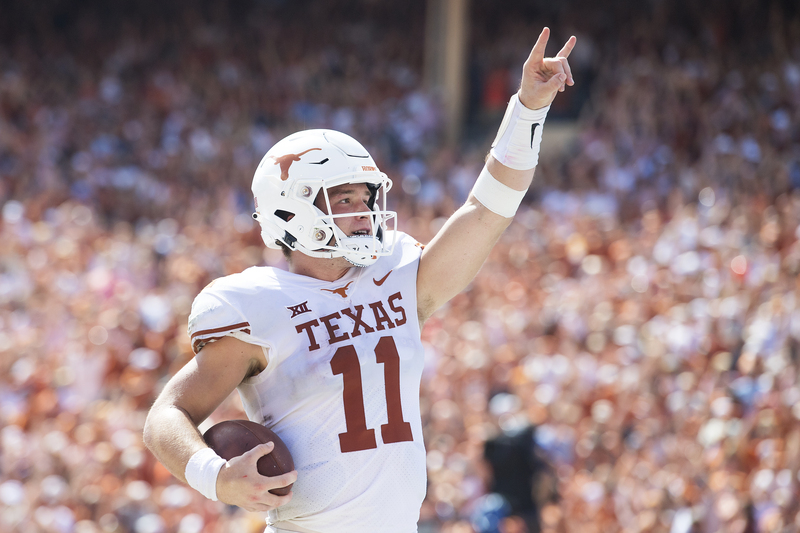 QB1 Sam Ehlinger was 9-of-21 for 66 yards with a bad interception and three sacks taken. Backup Casey Thompson was 14-of-32 for 82 yards with an interception but did add 55 yards and a touchdown on the ground. The only skill position player who truly showed out was freshman running back Jordan Whittington, who carried the rock 12 times for 62 yards and tallied four receptions for 27 yards. 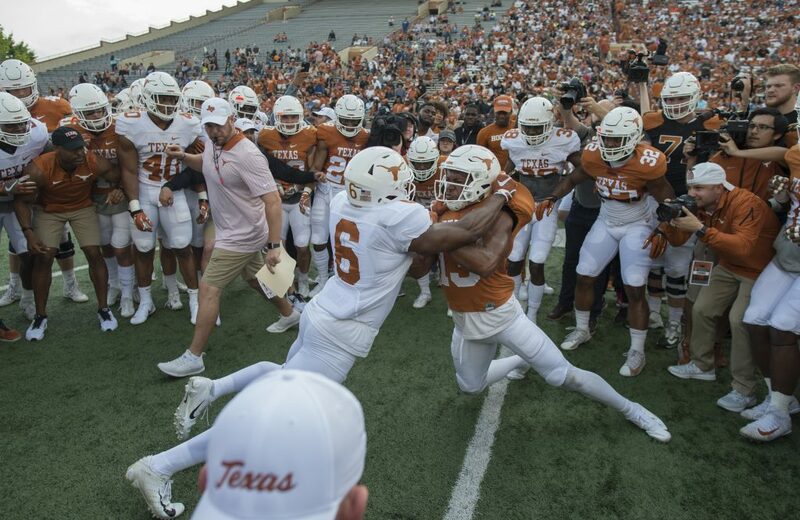 It must be noted Texas’s best returning playmaker, wide receiver Collin Johnson, did not suit up. The defense had a number of standouts, most notably linebacker Jeffrey McColloch, who intercepted an Ehlinger dump off pass to the running back and returned to the 1 to set up the lone touchdown. He also showed great hands and impeccable timing in knocking away a 4th down pass that was about to fall into running back Keaontay Ingram’s hands on a wheel route. The other turnover came when defensive end Pete Mgapi beat the right tackle on an outside move and forced Thompson to severely underthrow a pass that was picked off by Kobe Boyce. Cornerback Jalen Green brought some physicality to the secondary with a pair of big hits that dislodged the ball on should’ve-been completions. Joseph Ossai, Ayodele Adeoye, Ta’Quon Graham, Mason Ramirez and Cort Jacquess each logged a sack. Adeoye, Ramirez, Marcus Tillman Jr. and Russell Hine all came away with two tackles for a loss. B.J. Foster joined Green with two pass-breakups, and Montrell Estell led all defenders in tackles with six. Though it may be tempting, one shouldn’t draw any grand conclusions from what took place. According to reports, the offense was actually the better half in two previous spring scrimmages that weren’t open to the public. Also, there was that pesky wind. But that shouldn’t stop anybody from getting giddy about a secondary that may be on the verge of doing great things. 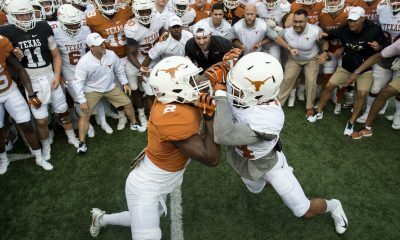 During the Mack Brown days, some referred to Texas as DBU (Defensive Back University) for all the great players that went pro under the tutelage of renowned defensive backs coach Duane Akina. A similar mantra may be developing under current defensive backs coach Craig Naivar. 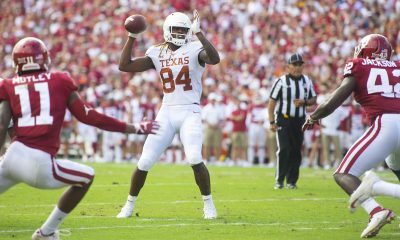 The Longhorns are about to have their second straight DB taken in the NFL draft with Dashon Elliot going in the sixth round last year and Kris Boyd expected to be selected this April. With Big 12 Defensive Freshman of the Year (and first-team All-Big 12 safety) Caden Stearns and Big 12 Honorable Mention safety Brandon Jones (who is the team’s top returning tackler) both on the sideline on Saturday, Texas’s defensive backs still stuck to the receivers like glue. When those two re-enter the starting lineup in the fall, the Longhorn secondary could become a no-fly zone. 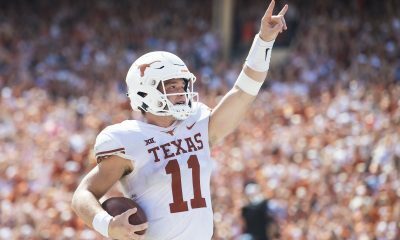 Texas’s 2018 season ended with a resounding Sugar Bowl win over heavily favored Georgia and Ehlinger crowing “we’re baaaaaaaaaaack” to those that stuck around for the postgame celebration. 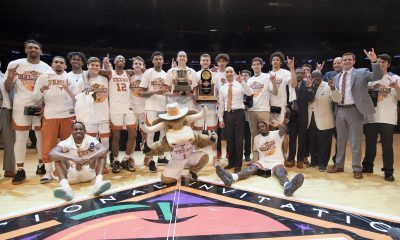 But the standard that was set by the early 2000s Longhorn teams, the standard that fans and players alike are clamoring to get back to, was not based on any single win or single season. 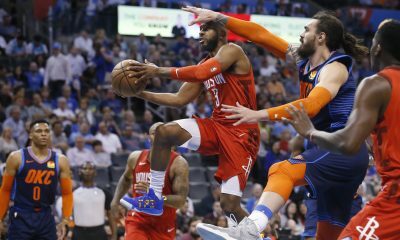 It was based on a consistent level of strong play and a culture of excellence that was repeated year after year until winning 10 games just became the norm. As Herman enters year three on the job, we’re about to find out how far along his culture really is. “We don’t use the words ‘we’ and ‘us’ when we refer to last year’s team because that’s not us. 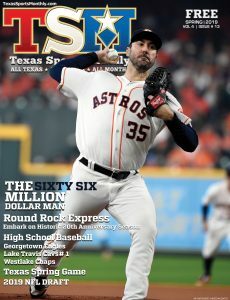 That’s last year’s team,” Herman said. “What last year’s team did in no way shape or form is going to affect what this year’s team can do. 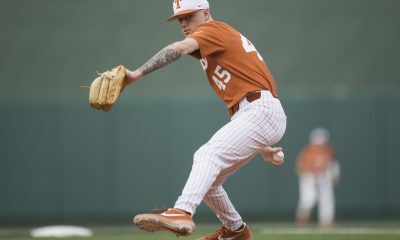 Horns edge out Purdue before facing Tech & LSU.